To sell or to draw attention means to show and to persuade. You require best showcase, best-selling or blogging platform and some useful features to be the best among competitors. It is very important to be sure that your theme is number one among other. That’s why we picked champions for you, so you can be sure that your WordPress project is equipped with premium “rig”. 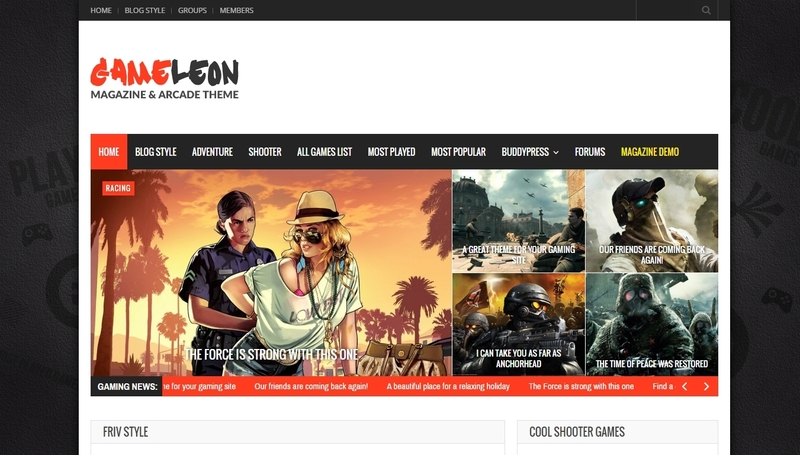 Prepare to see best-selling themes of 2015 year! WordPress has its own favorites; multipurpose, powerful, responsive, with best performance – this is the most appropriate description for our candidates. Check each one to see their premium quality and universal, multipurpose core. Enjoy our list of top templates! Redwood WordPress theme is a perfect example of responsive template. It has a lot of various options and features to fit every possible project and looks great on every device, which makes the Redwood a real gem for any webmaster. 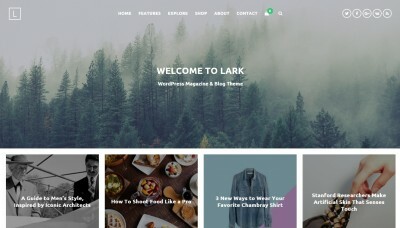 You can choose from 5 different blog layouts to be sure that your idea will be in good hands. Pick a right post format; audio, video, text – from now you have just to upload data, nothing else! Custom widgets, including “About me” and “Contacts”, full-width appearance add some eye candy and universality in the same time. Hide or show elements on pages, translate the website into any language. The Redwood comes with all these bonuses. Ronneby theme is not only stylish and bright, but first of all very fast in work. Made to be among first by performance, the template really does the trick; your website will be very smooth in work with any content inside! More than 40 unique layouts to play with and choose the one you like. Beautiful blog and portfolio areas with additional control on content to make superb informative and visual showcase. The Ronneby comes with premium plugins such as visual composer to create your project from scratch easily, and professional slider. More than 1700 font icons, SEO friendly, and with great support team. Indeed, a perfect choice for business or blogging! If universality is your main objective in WordPress theme selection – take a look at Foundry template. It’s multipurpose, multi-concept, and user-friendly. Customize and install the Foundry easily thanks to the special built-in tools. The theme comes with more than 20 home concepts. Use them for any occasion! Multiple menu styles, drag-and-drop page builder – everything here is useful for fast creation of pages with cozy structure and navigation. The Foundry is compatible with various Google Fonts to create some additional eye candy. Full-width of boxed website? You can try both! 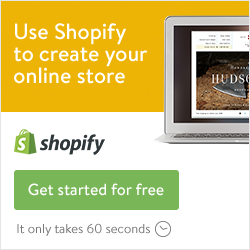 Compatible with WooCommerce online shop plug-in, with built-in live notifications. The Foundry is a clay to build anything qualitatively and easily. 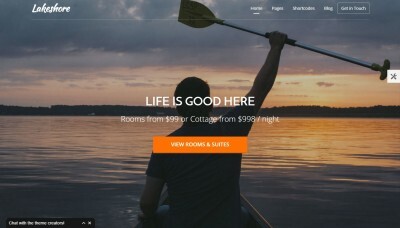 Minimalism is a classy thing and not every WordPress theme can afford itself to be “concentrated” for the sake of eye candy and cozy website usage. A fine example of such a template is the Savoy. Its modern design puts you to the information core without any unnecessary extra. Just raw images and text with a perfect combination to be used as a header slide-show. It also supports touch, so responsiveness of Savoy shows it here. The shop in the theme is ready to sell out-of-box; you don’t have to install additional plug-ins. Multicolumn menu for smooth and intuitive website navigation with extensive admin panel are great bonuses of the great template. Pick Savoy and you will never regret. Borderland WordPress theme is a template of a huge concepts amount. It is ready to sell for you, share blog information, show your photos collection through beautiful portfolio pages. It is all up to you, the theme is very universal. Pick from 12 predefined demo designs to quickly start your project from scratch. Powerful admin panel allows you to manage all the huge amount of various options and settings available. Check beautiful fade effects and transitions; they are the real eye candy of the template. Also, you can choose between two possible position of the header. Create something really unique! The Borderland theme is ready for translation, supports more than 600 Google Fonts, and fully supports WooCommerce plug-in. 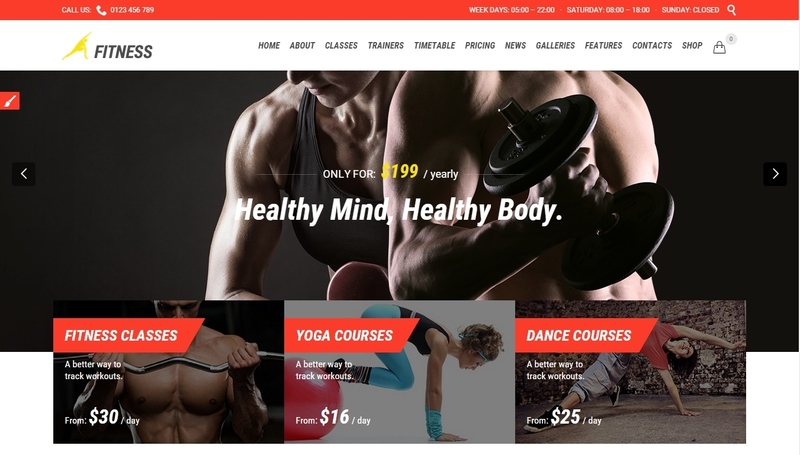 Kinetica WordPress theme is a real full-screen studio. It fits perfectly any project, which is related to images and photography or any corresponding activity. All included features and tools are made to support an online gallery with full range of options. Display important events in the special promotion box to inform your visitors efficiently. Use Proofing Gallery widget to enhance your experience, it is really cozy. Also, you can customize the main slider text colors and style. Multiple headers and menus, borders, color schemes – these will make your website really unique. Organize event with a special tool, use fully supported WooCommerce to sell works. 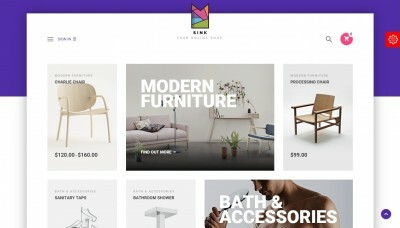 Kinetica is a real gem among WordPress themes! Think out of the box with Porto theme. Make your website unique! It is also very fast and customizable. All modern functions and features in one pack; great pick. Do everything you want with the template, it will work properly in any situation. 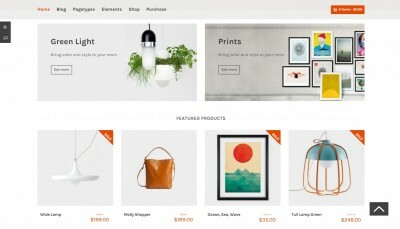 Choose from 22 perfectly made home pages, including special eCommerce block of predefined styles. Unlimited header styles to simplify the website navigation and add some additional visual enhancement, unlimited color schemes, and unlimited optioning possibilities. It’s all about the Porto. Use various layout variants and full language support no matter you speak Arabic or Russian. The template will be your best business assistant! Kalium is not only another modern WordPress theme. It is a creative masterpiece for professionals. This template has a huge potential thanks to all contemporary tools, which works out of the box. It is very minimalistic, although has a lot of simple styles. The Kalium comes with interesting premium widgets. Check powerful admin panel, slider with layouts, and Revolution Slider to make sure it’s real. If you are using portfolio in your work – try all the possibilities of built-in features that allow to pick a required appearance and functionality, there are more than 30 options! Unlimited skins, Google fonts, carefully crafted icons, responsiveness and much more – all this is Kalium. 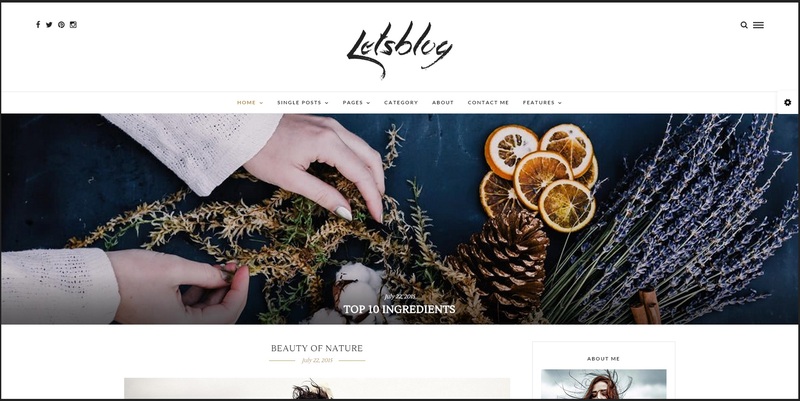 Lets Blog WordPress theme is a special template for blogging or other activity, which is very informative and have to show big amounts of data at once. The template is also good-looking, so you can be sure that visitors will be glad to see your website again. 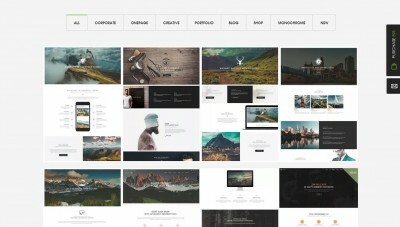 6 great home page demos with more than 20 possible styles of portfolio and blogging areas. Live customizer with a lot of different options will simplify the installation and detailed tuning of your project gradually. Check the instant search feature as well. It allows you and your visitors to find quickly any related information. Responsive, ready for Retina displays and SEO; Lets Blog will help you to create a perfect blogging platform. 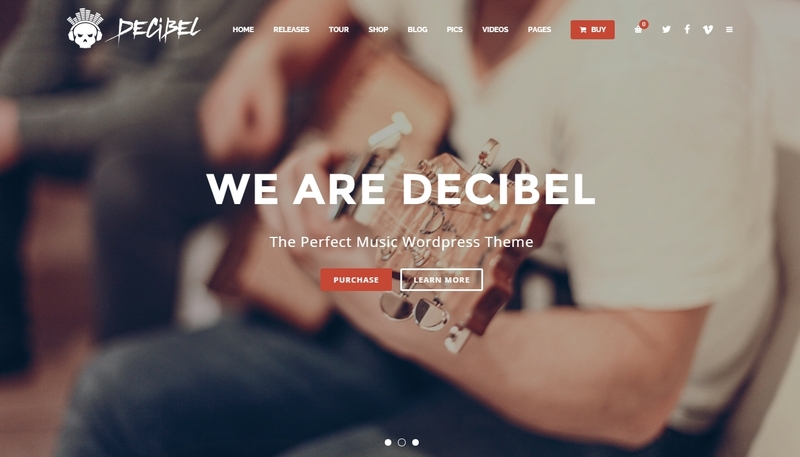 If you are looking for a WordPress theme that is fully multipurpose, take a closer look at Haswell. It can be used either with one- or multi-page designs. The template supports detailed tuning of pages and comes with interesting professional widgets for additional functionality. More than 40 demo designs are available out of box! Indeed, a template for any occasion. Variations for header, footer, and slider areas – add creativity to the website. Unlimited color options, flexible menus, and special pages like “coming soon” to be sure that every part of your project is unique. The Haswell theme is fully optimized to be used on mobile devices, is ready for SEO and translation into any language. WooCommerce? Yes, and even more. Just pick the template and you will see the advantage it gives!